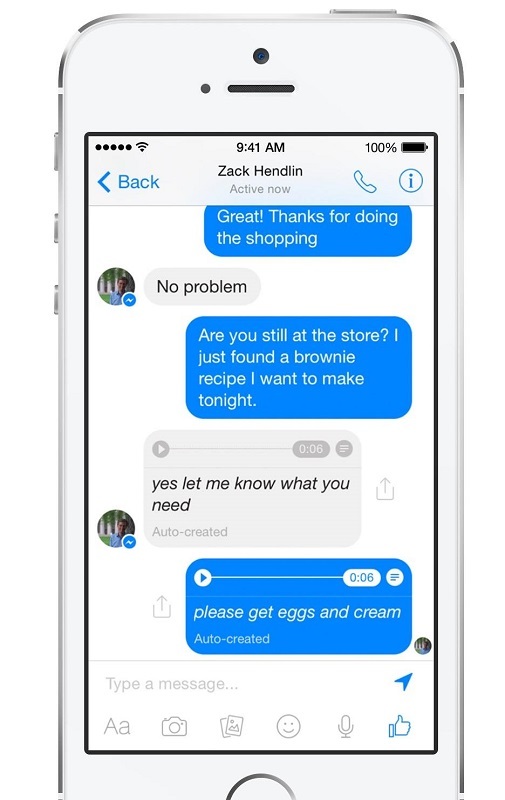 A new feature began to be tested for a small group of Facebook Messenger app users. The new feature allows users speak to phone for transcribe speech to text. Isn’t a bad idea for users, and is a very good idea for all users with medical problems that can’t type. Also, is a great idea for drivers that can’t stop to use the phone when driving. Also, is very useful for people that are making sports. The announce was made by David Marcus on his Facebook account. All reactions that was made after this announce was positive, and it’s very possible to have this feature soon available for all users. In conclusion, we need to have patience if we need this new feature of Facebook Messenger app.